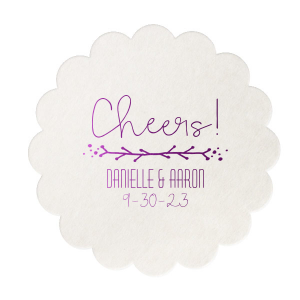 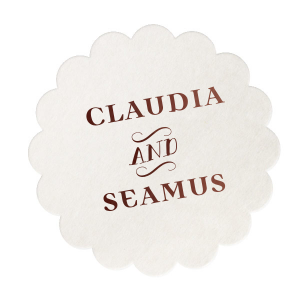 Customizable scallop wedding coasters are a fun and simple way to add some charm to your wedding. 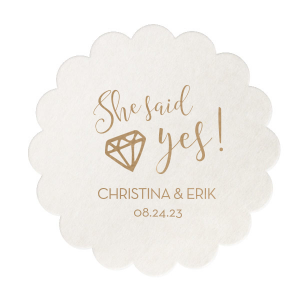 Personalize a designer-made style below or create your own in the FYP Customizer. 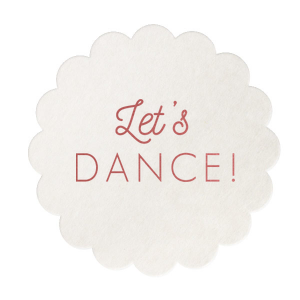 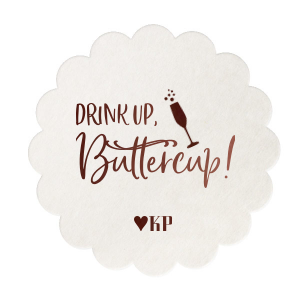 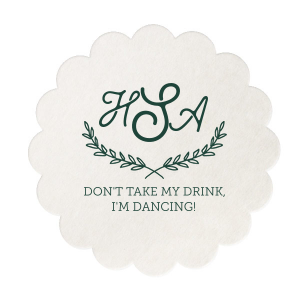 These sweet coasters are just what you need for your wedding bar! 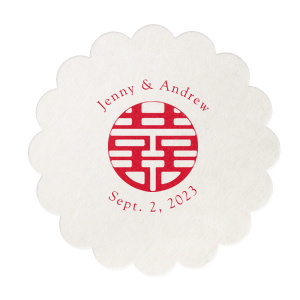 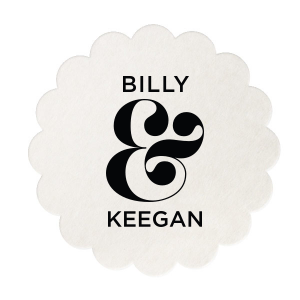 For Your Party has a variety of personalized wedding shape coasters, such as this adorable scallop wedding coaster. 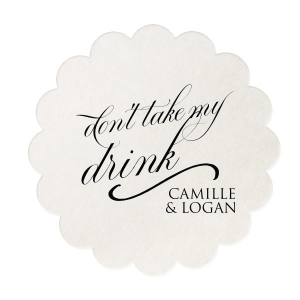 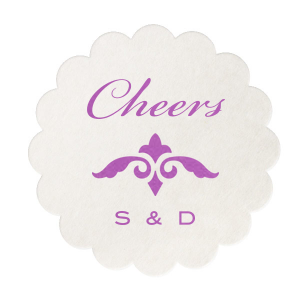 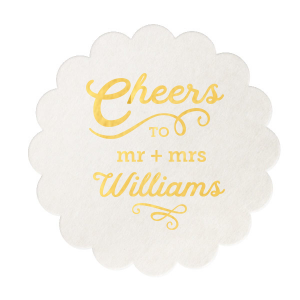 Your wedding signature drinks will definitely benefit from these unique wedding coaster. 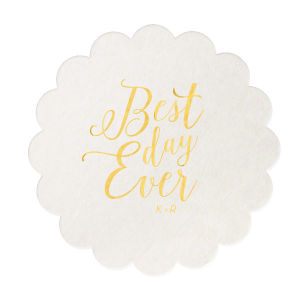 Round with a scalloped edge that mimics the look of lacy doilies, our scallop coasters are an elegant touch to any wedding bar. 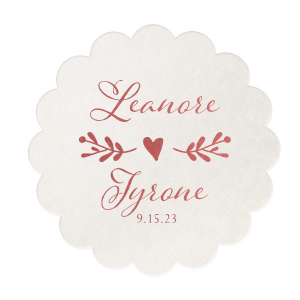 Personalize with your wedding monogram, a sentimental graphic, your wedding date or even fun wedding work art. 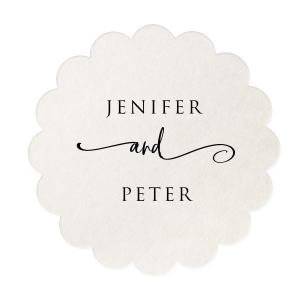 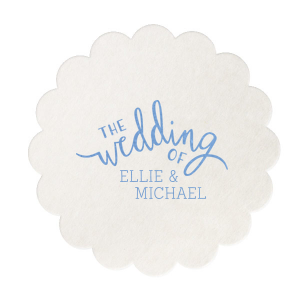 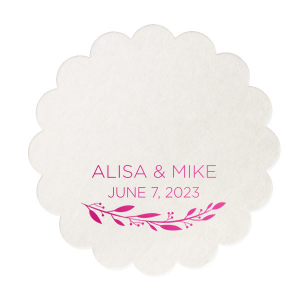 Choose from our selection of imprint colors and a wide variety of designs to create scallop wedding coasters that complement your wedding look and feel. 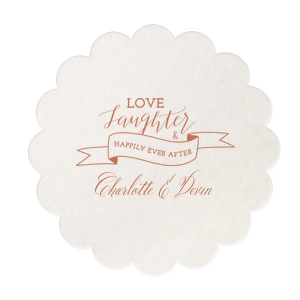 Scallop wedding coasters are a delightful way to showcase both your wedding theme and your impeccable taste. 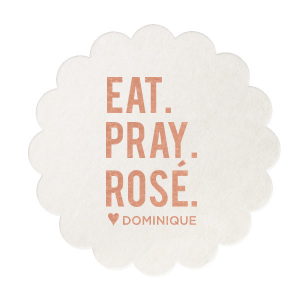 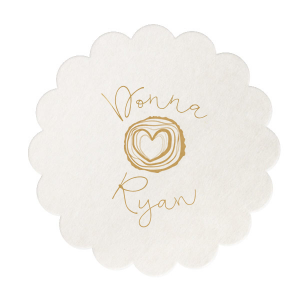 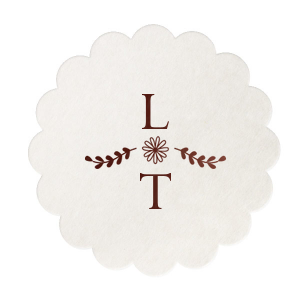 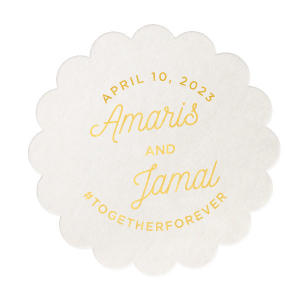 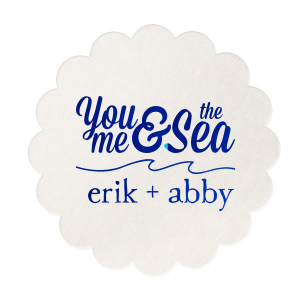 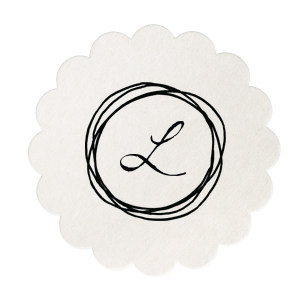 Customize your scallop wedding coaster today!